Take your MySwimPro experience to the next level with these wearables. 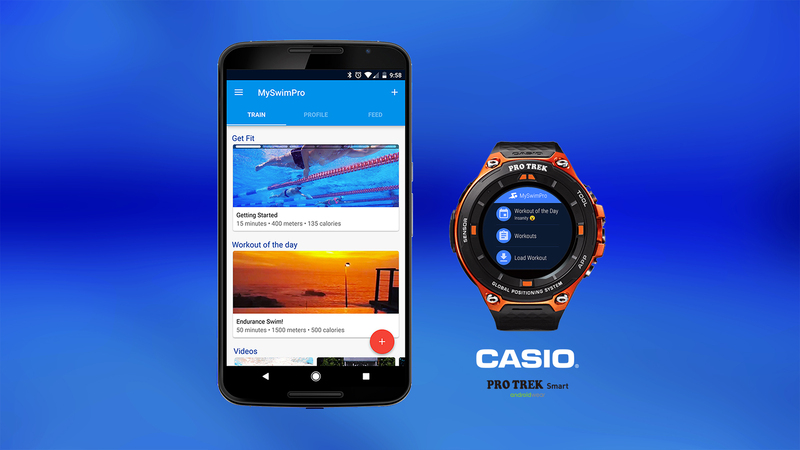 If you’re looking to take your swimming to the next level, we recommend pairing your MySwimPro mobile app with a waterproof wearable. With a smartwatch or fitness tracker, you can ditch the printed workouts, leave your phone in the locker room, and take MySwimPro with you in the pool. 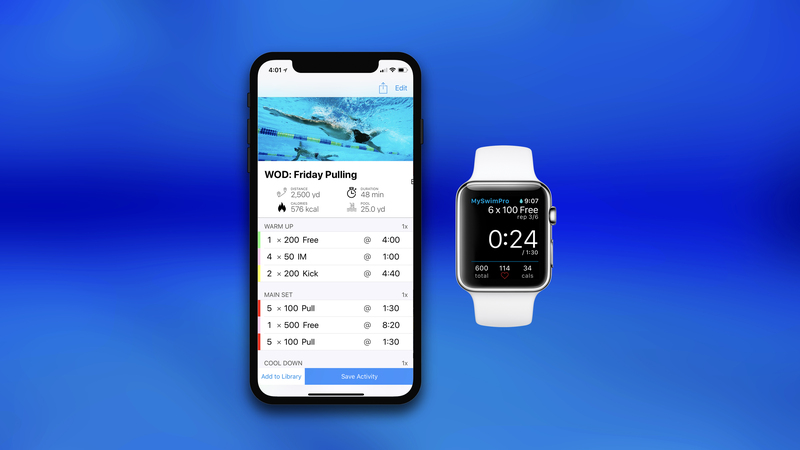 With MySwimPro on your watch, you’ll be guided through our personalized workouts as you swim, you won’t have to worry about counting laps or tracking your split times, and your heart rate and strokes will be recorded seamlessly. We’re constantly optimizing our app for the newest wearable technology. Here’s our guide to all of the available smartwatches, fitness trackers, and wearables that are compatible with the MySwimPro app. 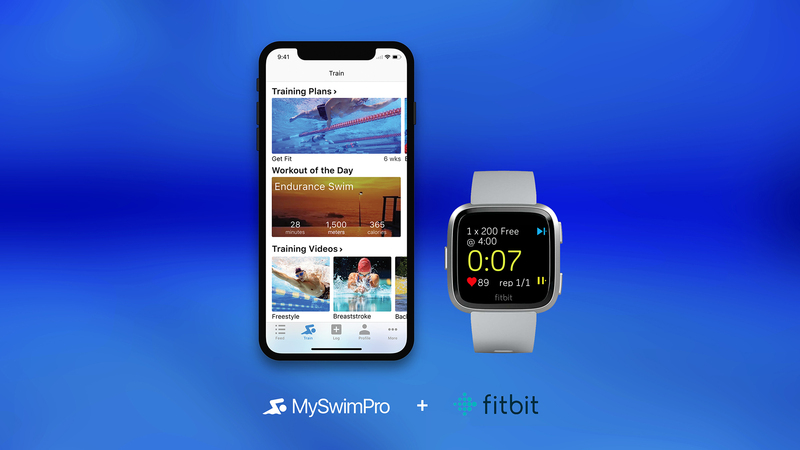 For unlimited workouts and swim training plans right on your wrist, click here to start your free 7-day trial of MySwimPro Premium. Can u release it for Samsung weareables ? Stay tuned as we are always working to bring the MySwimPro experience to more devices! Any news on Samsung gear fit 2 pro support? Hi Alex, we are not currently supporting Samsung Gear Fit 2. Sorry! That’s a pity. Looks really good app. Maybe in the future? Is the pool distance tracking available for devices that can be paired with Android, or is it just iPhones? Yes we have an Android App too! Swimming. Can that be added at all? Hi George, I’m sorry but we aren’t currently developing for the Moov. Stay tuned, maybe in the future! Can this be used with Polar devices. Neil, we currently do not support Polar devices. Sorry about that! I’m sorry but we do not support Suunto watches at this time! Will you do that in the future? Unfortunately it is not on our current plan to develop for Suunto…. but that might change in the future, we’ll see! Sorry that we don’t have a firm answer yet. I notice the Garmin fenix3 HR is not on the list of compatible devices. I use this with Strava and was hoping to use myswimpro as well as my principle swimming tool. Is this possible, even in a limited sense. Obviously full functionality would be great. I’m sorry but we do not support Suuno watches at the moment. Thanks! Any plans to support the Mio Slice? Unfortunately not at this time. Sorry! Do you support samsung gear sport or galaxy watch? Thank you for your message, unfortunately no, we do not support those yet. Sorry about that! Hi, besides the Casio watch, is there another one that is Android Wear 2.0 compatible that is a little more feminine and waterproof? The Garmin is cool, just expensive. Do you guys plan on supporting Samsung Gear/Galaxy platform? Thanks. Unfortunately no, not at this time. Sorry about that! Any chance your app gives vibrating pace alerts like the apple watch for running so you know you have dropped off a certain desired pace you have set to achieve. Thus you know when to speed up without even having to look at your watch. The Garmin Swim watch isn’t on your list of supported Garmin devices. Seems like a natural fit. Any hope that might happen? Hi Stewart, unfortunately there is no developer SDK with the Garmin Swim so we have no plans to offer that as an option right now. Sorry! Well, to be honest I prefer Apple’s Smart Watch and I prefer other brands for smart watch. We want galaxy watch :). Hi Tarmo, sorry but we currently don’t support Polar devices. Sorry! Are there any plans to work with Polar in the future? Not right now, sorry about that! Hi I have recently purchased a Fossil smart watch.Does the app have compatibility with this watch.Its the laters Fossil smart watch? Hi Paul! It should, our app runs on WearOS by Google. Thanks! Can I use a Fitbit VERSA? Its definitely time to include SAMSUNG GALAXY SMARTWATCHES to your list of compatible devices!! If I understand all these comments and replys then when a watch runs under wear os it should be compatible with your app? 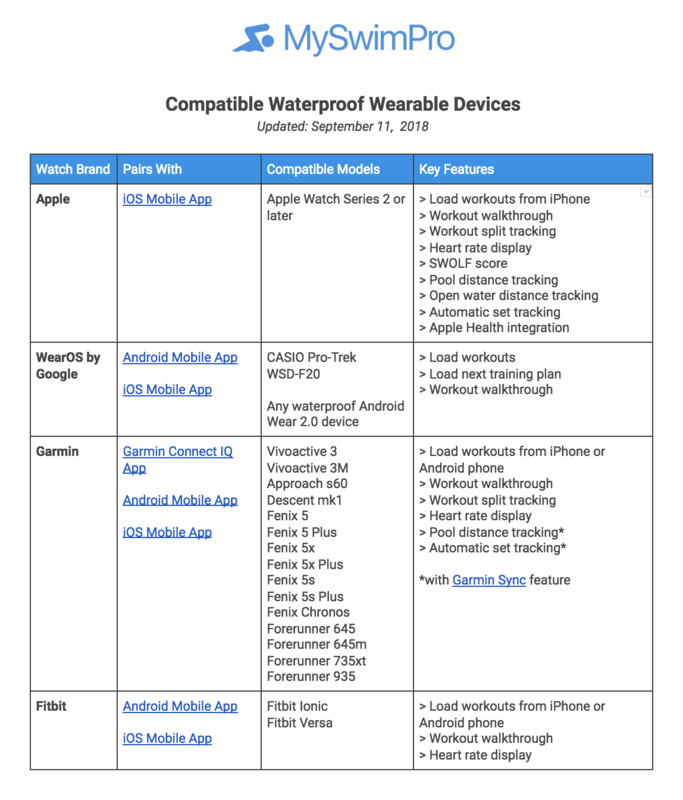 Roland – yep our app works with any waterproof Android Wear 2.0 device.